For many, the worst-case privacy scenario involves corporations and governments that listen to what we say in the privacy of our own homes. Unfortunately, that dystopian future may not be as distant as you thought. When is Google Voice listening to what you say and how can you stop it? The key is in your Google Voice Search history. What does Google Voice Search collect? Google Voice Search (commonly known as Google Voice, although this is technically the name of Google’s unrelated telephony service) allows users to perform Google searches, set reminders or alarms, and perform other functions using only their voices. Every single request a user makes is stored on their account, and those recordings can be reviewed (and listened to) by the user at any time. 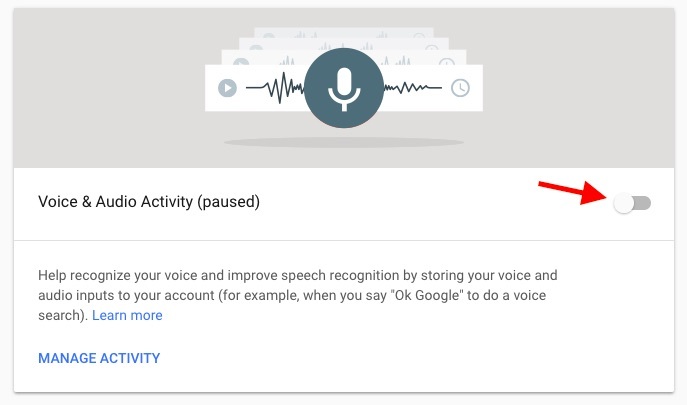 Officially, Google Voice only listens to and records the user after they’ve said the activation phrase – “OK, Google.” After your request is processed, Google saves a recording of your voice on the cloud. They say they use these recordings to improve the accuracy of their voice recognition software. However, skeptical users have shared anecdotes of private conversation topics showing up later in search suggestions or targeted ads. Android devices’ microphones probably do have to always be on in order to catch your utterance of “OK, Google” in the first place, but it has not yet been definitively confirmed whether Google has been listening when they’re not supposed to. 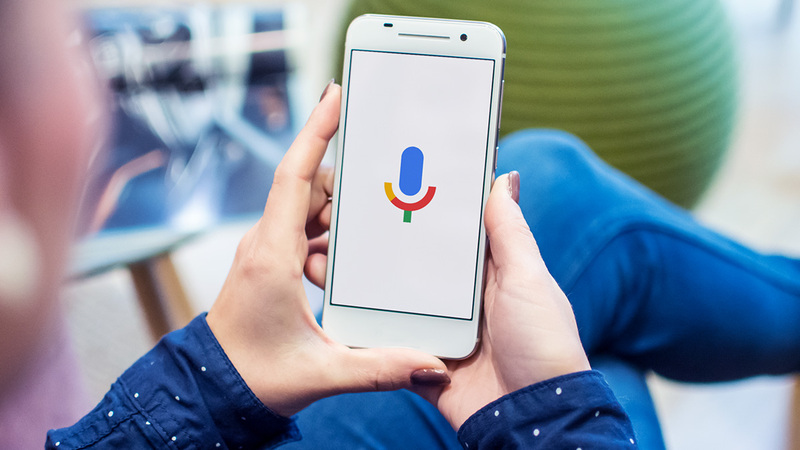 What has been confirmed, though, is that Google’s Voice feature plays fast and loose with the term “OK, Google.” When you review your Google Voice Search activity, you may find that as many as about 10% of them may be mistaken activations. Your device will think it heard you say “OK, Google” and then record the next 10 seconds of sound – no matter what you’re actually doing or discussing. 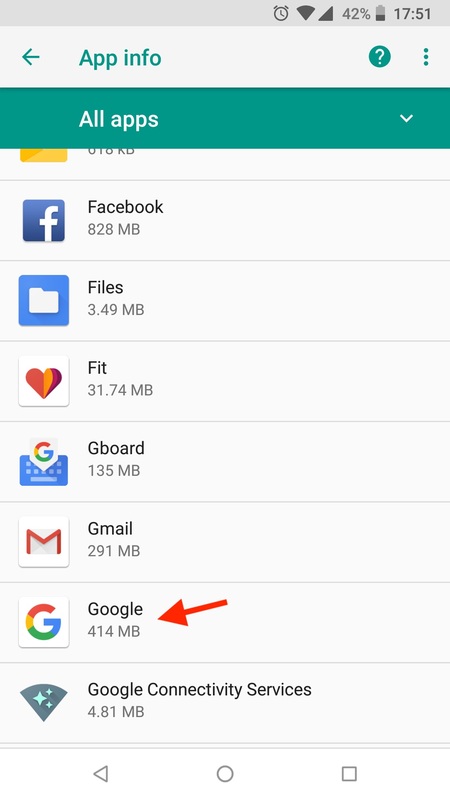 In this way, Google may find out about interests you didn’t mean to share with it and store recordings of private conversations. 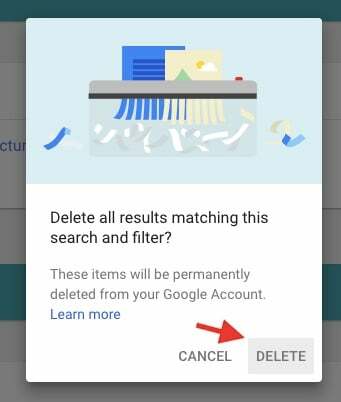 Before you delete your Google Voice history, it might be a good idea to listen to some of those recordings Google has actually saved. It’ll be a good opportunity to review how you use the feature and whether you really need it at all. You’ll also get to see what sorts of situations generate mistaken activations so you can look out for them in the future. Your voice recordings will be grouped by the days on which they were taken. Click play next to any of them to hear the recording. If knowing that all of those recordings can be reviewed online makes the hair on the back of your neck stand up, you may want to delete them! Keep in mind, however, that they are at least as secure as the rest of your password-protected Google account is. It’s also worth understanding the potential consequences of deleting these results. According to Google, those recordings are used to improve the accuracy of its voice features. If you’ve nonetheless decided to delete those recordings, read on! 1. Find the Google Activity panel for your voice search entries. We’ll make it easy – just click on this link while logged into your Google account. 2. Click on the three dots at the right end of the search bar to reveal a drop-down menu. 3. Confirm your choice to delete the recordings! The instructions for mobile are exactly the same. Start by clicking on this link and then following the same instructions as for the desktop version. The only difference is that finding the linked page through your mobile settings is a bigger pain in the neck than it is on the desktop! How else can I protect my Google Voice privacy? 1. Click on this link (or click on the back arrow in the Search bar in the previous link). 2. 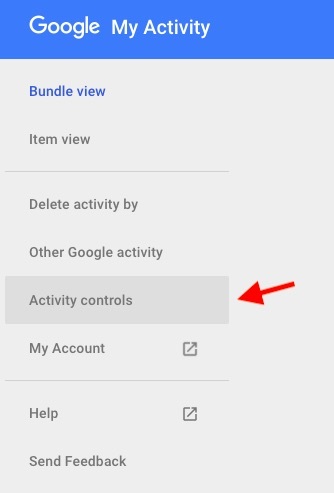 Click on “Activity controls” in the sidebar. 3. 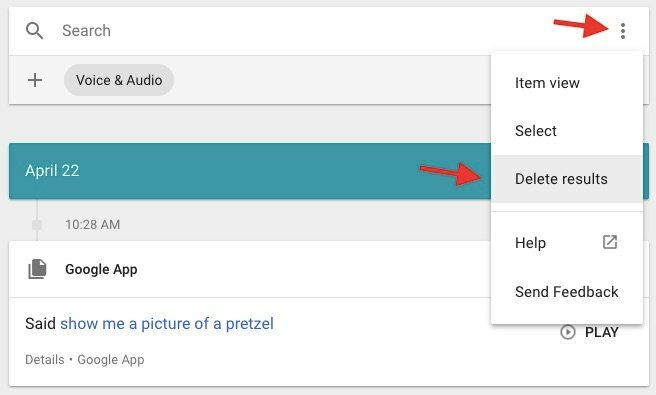 Scroll down to “Voice & Audio activity” and hit the switch to stop Google from collecting your recordings. 1. 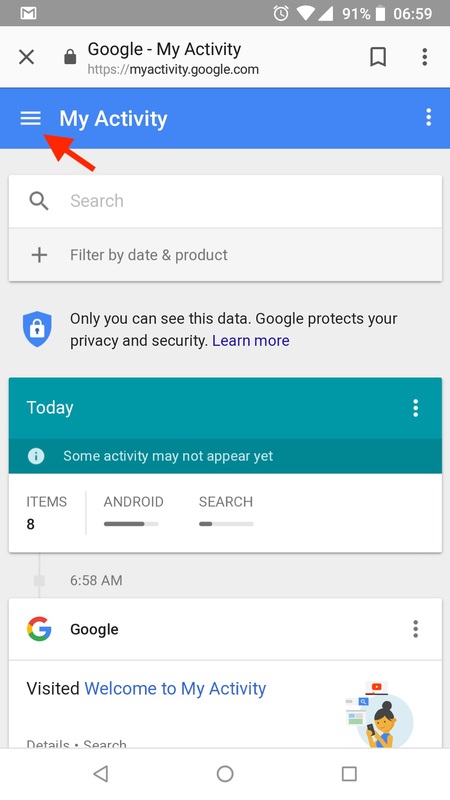 In your device’s Settings menu, select “Apps & notifications” and find the Google app. If the Google app isn’t available on your recently opened apps, click on “> See all” to find it. 2. 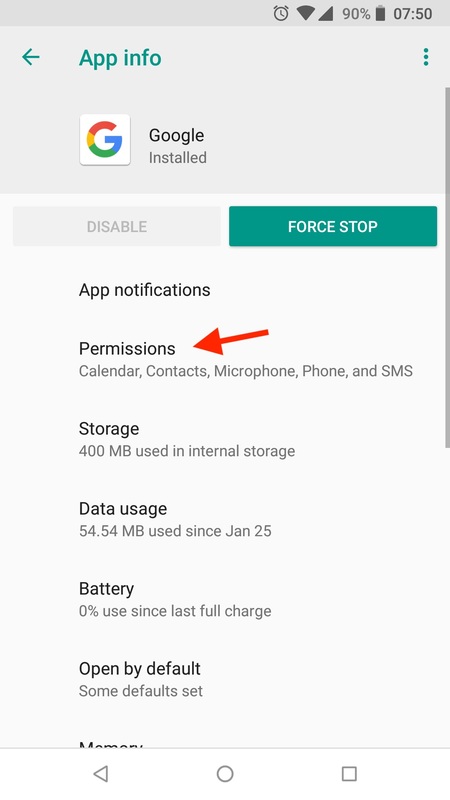 Once you’ve found the app, click on it and find the “Permissions” tab. 3. Turn your microphone permission off. 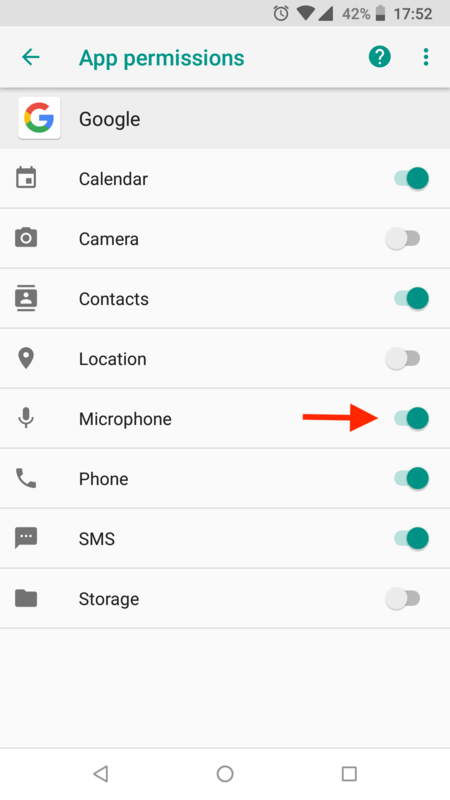 Note – this may indeed disable other Google services that use your microphone, so use this at your own risk. However, other apps, like your phone app or favorite video messaging app, won’t be affected.